Portiuncula University Hospital held its second annual Research Day at the hospital on Friday 18 January. 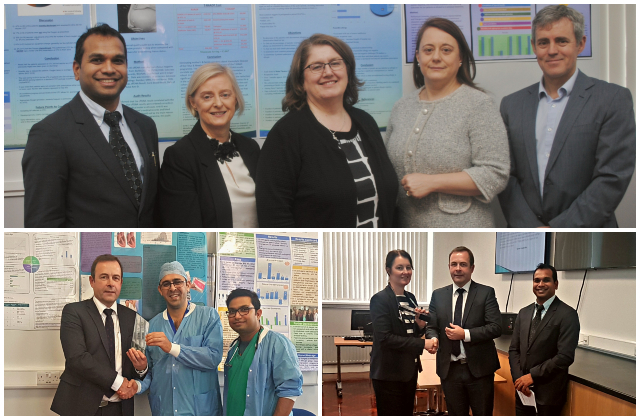 The event was organised to showcase the research and audit work undertaken at the hospital and 7 oral presentations and 23 posters were presented by staff from all disciplines including the Emergency Department, Physiotherapy, Laboratory, Pharmacy, Nursing, Radiology, Medicine and Surgery. James Keane, General Manager said, “Following last year’s research day at the hospital, we decided to make it an annual event for staff to share their research, some of which has already been presented at national and international conferences. Also, our Academic Committee are focused on providing opportunities for our Non Consultant Hospital Doctors to carry out research and present the research at a forum of peers. Best Poster Presentation: Dr Amir Mohammad and Dr Jahid Hason from the Anaesthetics Department for ‘Red Hat Study’. Best Oral Presentation: Dr Hillary McLoughlin, Consultant Respiratory Physician for ‘Chest Pain Query Cause: Group Thinking at Portiuncula’.